« Menu for Hope 6 Winners Announced! A few weeks ago, I made plans to meet my friend Terresa in Pigalle, to check out a new épicerie (specialty food shop). I don’t know if you’re familiar with Pigalle, but the area has a certain well-deserved ‘reputation’ and if you’re a middle-aged man walking around by yourself in the evening, casually looking in the windows of the cafés and bars, don’t be surprised if a very scantily-clad woman tries to catch your eye back, and catch your fancy. And a few euros. My friend was late, so after I cut my walk short though the quartier, I waited outside the shop, where we were planning to meet, which made me only slightly less of a target. And within a few minutes, people were handing me business cards for various ‘services’ of the female persuasion. So I was especially glad when the only woman in the neighborhood I was interested in hooking up with finally arrived and we went inside. The idea of the store is to be one place filled with many great products. There were indeed some interesting things on the shelves, including Spanish hams and other European specialties. 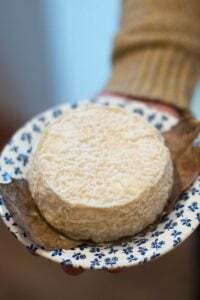 But when you live in France, it’s hard to get worked up about shrink-wrapped cheeses, no matter how good they might be, when there’s so many amazing fromageries in every neighborhood. But I think they’re trying to be both a specialty shop and cater to the locals who need the basics, too. So I give them points for rising to that task, and most of us would be thrilled to have a place like that in our neighborhood. We wandered upstairs, where we checked out the wine cave. It was small, but had a nice selection and the extremely nice young man didn’t give me his card (drat!…except I later found he out was Laurent Pinsolle, one of the owners) but he stopped to explain to us some of the wines they carried, included a viognier that could be had for just €3.95 that he said was an excellent value. It was hard to listen to him, because I was trying to think of how I could get Terresa to leave us alone in the wine cave for a while to discuss the finer points of les terroirs…or whatever. But I was also eager (albeit a bit less so) to head back downstairs to the full-on refrigerated shelf devoted to Malo dairy products that I noticed on the way in. 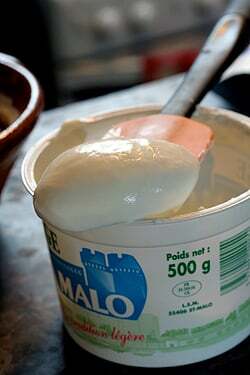 For anyone that is misguided and still waving the tattered banner that ‘Fat is Flavor’, obviously hasn’t tasted Malo’s 0% fromage frais. 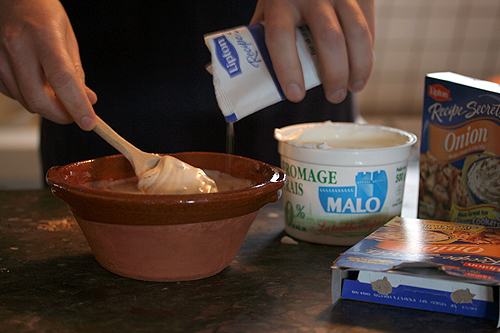 Fromage frais is a creamy little pot of milk that’s been fermented with lactic acid. 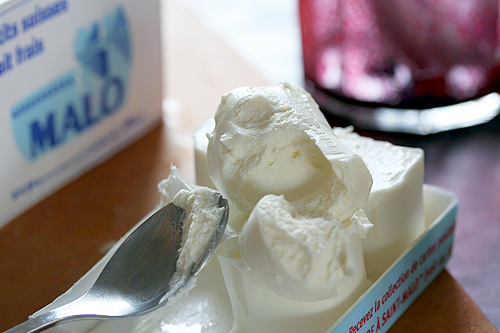 It’s similar to yogurt, but instead of having an acidic tang, it’s smooth and deliriously creamy. It’s like eating crème fraîche without feeling like a glutton. So you eat the whole container. How great is that? And when I saw the little packet of 6 petits Suisses for only €1.80, those went right into my soon-to-be-full shopping basket. A reader a while back commented that the Malo label looked like it was last designed in 1970, then they just gave up on any future redesigns. And I gotta say, the packaging is part of what I like about their products. If you’ve never had a petit Suisse, they come in little rolls, usually six to a pack, which get de-banded in a bowl and sprinkled with cassonade sugar or jam, for young folks. And a few older ones. Because they’re so rich, the cylinders are pretty small. Other brands make a 0% version, but in this case, I’m going to be a call my own bluff and stick with the fat-is-flavor camp. Since then, I found that my nearby Shopi supermarket has Malo products, as well. Which is good news because I’ve decided to stop going to my local Franprix and Monoprix because, well, I wanted to go somewhere where they treated customers like human beings and the people at my local Shopi meet those criterion. And because I’m a big supporter of customer service, I bought the a largest container of 0% fromage blanc and a few bags of chips on my last visit to make some Lipton Onion Soup Mix Dip (thanks Bill & Elaine!) for a dinner party I was having that night. For those purists out there, Oui, you can get ruffled chips in France. And because everyone is on le régime, they now even have baked ones. I don’t know about all the ingredients in the soup mix, but at least the potato chips and base for the dip fall into the “healthy” category. When I mixed up the batch and tasted it, I wasn’t sure if my French guests would like it. Like marshmallow-topped sweet potatoes, See’s Molasses Chips*, and peanut butter (which Romain pointed out once “…tastes like getting sick”—of course, while I was eating some), not everything we Americans enjoy have international appeal. 1. Mix the two ingredients well. Let stand for 30 minutes. 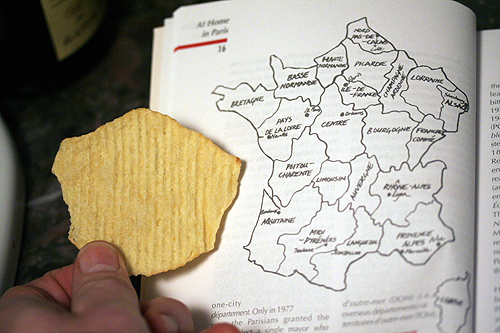 Serve with ruffled potato chips, baked or fried, preferably in the shape of the country you’re in. *I was at a Christmas party last month and I went into the kitchen and saw a big stack of boxes of, yes, See’s Candy! I almost flipped out and the hostess told me that a friend sends a gift of them every year. I plucked all the Molasses Chips out of the boxes of assortments, and rifled through the rest of the boxes of chocolates, knowing from considerably experience, what’s in each and every one of those dark-brown bonbons. There was also a box of peanut brittle, which I enjoyed as well. But I didn’t offer any to Romain. Molasses chips are easy! I can spot a See’s Scotchmallow (dark chocolate enrobed honey marshmallow and caramel) in the Nuts & Chews and Assorted boxes instantaneously. The last time I went into a See’s shop at the mall, I saw that they started selling prepacked half pound bags of them. I couldn’t help but get a little paranoid and wonder if my See’s chocolate habits might have had something to do with that. Then I bought my own bag for the movie theater and decided it was genius. i’m always overwhelmed when i hit the yogurt aisle in the supermarket here in france. so, thanks for explaining one of the mysteries for me! Marshmallow sweet potatoes I can understand, but really…no Molasses chip love? That one surprises me since I have seen nearly everything under the sun dipped in chocolate in France. What was the complaint? Hm. Malo was good, but not sublime in the way that Maritza was. It was sweet, but maybe it is my prejudice against low-fat things. Then again I’m one of those lucky skinny gayboys who can eat a pound of cheese and gain nothing. I love Lipton soup mix! Miss it here in Sweden. So simple, yet so tasty. I LOVE petit suisses! Funnily enough it was about the only dairy product I liked as a kid. Now I like ’em all. I’m a regular visitor to Istanbul where they eat something called kaymak, usually for breakfast. It’s a little like fromage frais but a bit more spreadable. If you’re ever in Turkey, try and get hold of some – it’s deelish! Rene: Someone told me the Ina Garten pan-fried onion dip recipe is quite good, although a quick scan of the ingredients (cream cheese, butter, mayonnaise, and sour cream) seem like a cardiologists nightmare. 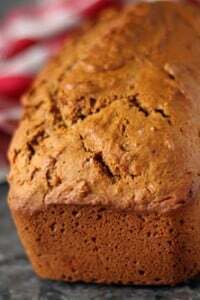 Try Heidi’s recipe, from 101cookbooks, which I linked to at the end of the post. See’s Candy!!! Yum! It’s the best commercially produced candy anywhere. And I love their hopelessly old fashioned stores. See’s Candy stores prove that California truly is the promised land. Oh I LOVE onion dip & Ruffles! It is my favorite snack of all times. Nothing else is quite the same I’ve tried to replicate it with a homemade version and it just not the same. Every New Year’s Day I make a tub and hunker down for a slew of college football games. Best day ever. I do make a slight concession – full fat sour cream only but “reduced fat” Ruffles. Whatever. Ina Garten’s Pan Fried Onion dip is delightful. 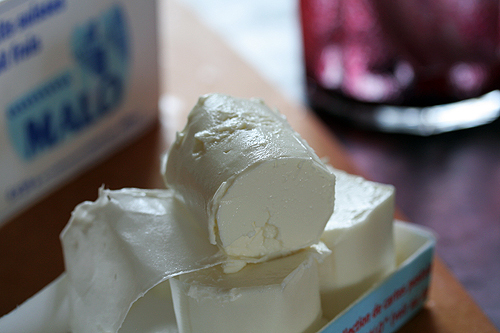 You can also make it with plain yogurt. I have a special contraption, but you could use cheesecloth, the yogurt gets suspended in a small bowl, and they whey drips out. Leaving you a nice creamy but drier form of yogurt. 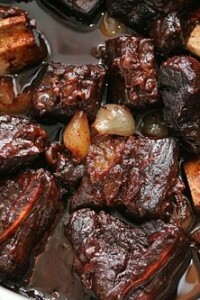 Mix the pan fried onions and this and it isn’t quite as fat laden as Ina Garten’s recipe. I’ve been reading about your Mexican camp adventure…are you sad to be back in the cold? It’s finally warmed up a bit in VA this past week such that I’ve actually gotten out to walk in the light of day for the first time in two months. Weather aside, I am itching with jealousy of all your Shopi supermarkets and boutique stores that make a culture rich and distinct – American Suburbia has a long way to go. This is my first comment on your site – I’ve been reading for several months and enjoy your blog and recipes. Ah, les Petits Suisses! I sure miss them (and the whole overwhelming dairy section of French supermarket!). Wholefoods started carrying some (flavored for kids) for an outrageous price… but, not in their dairy section… and with a label “New, from Switzerland”…. Frommage blanc au sucre was one of the defining moments of my year in France. (I had some sour cream with sugar the other day, left over from topping a cheese cake. It came close. And what’s not to like about See’s molasses chips? Onion soup dip! This was a mainstay for my Mom and all her friends back in the 70’s and 80’s. It’s impossible to leave it alone once you start eating it. Love it with those big fritos called scoops or tortilla chips. Mwaahahaha! That chip shape is quite comical. the thing that bothers me in the low/no-fat aisle is that probably each and every product has some sort of a thickener in it – gelatin or some weird E numbers. i mean, natural yoghurt is thick on its own, so why add gelatin? or, rather, why remove the fat and add the gelatin (and other creepy stuff) to pretend that you haven’t removed the fat. this is what makes me a no-no-to-no-fat person. Julé: They put a lot of that junk in the full-fat versions as well. I always wonder why they put gelatin (and so much sugar) in the yogurts in America. Although in France, the aisles are starting to fill with sugary varieties, too. Lynn: I don’t know. But I like that I don’t have to share ’em! laura: One of my favorite things to do when I travel is to go to supermarkets. In Paris, like elsewhere, there are good and bad ones. (I wrote about one particularly bad one in my book…ick!) Monoprix is decent, but I’m boycotting them because they refused to give me change, at three different registers (even after I bought a bunch of groceries) so I could use theirphoto machine. There’s nothing like Whole Foods here, or Trader Joe’s, though. When I took Romain to Whole Foods in New York (which are all over the US now), he almost passed out and kept wondering why there isn’t anything like that in Paris. There is the Grand Epicerie, but it’s very chic and not where one would do their everyday shopping there because of the prices, which make Whole Foods seems like a discount outlet. French onion dip and ruffles was a mainstay at this Midwestern boy’s house. I think that using the good ol’ Lipton’s but adding it to quality French dairy “gourmets” it up just enough. Thanks for this little bit of nostalgia. As someone who thinks of grocery stores as the absolute most exciting places to visit whilst travelling, I’m very appreciative of this post and having yet another “recommended” food store to go to when I go to Paris soon! Thank you! (Note the low-salt marketing.) It’s available at my local Carrefour. I won’t say it’s the same as Lipton’s, but a demi-paquet in a 500g tub of fromage frais Saint-Malo, c’est quand même bon. I think it would be better if the chips were in the shape of my home state of Florida — especially at some of the parties I attend. Love the french onion dip! We serve it at our cocktail parties all the time! And you have to Ruffles with it!! I’m wondering, do they have Ro-Tel in Paris?? LOL! And onion dip with 0% is brilliant! I’ve been using crème fraîche, but I might have to put it to the Pepsi challenge. David – Ina’s onion dip recipe is BEYOND fabulous, but definitely on the rich side. I’m not one to do low or no-fat when there’s no reason to, but in the case of that recipe, I strongly suggest using reduced fat (but please, god, not non-fat) cream cheese and sour cream, and no one has ever been the wiser. Maybe lighter. 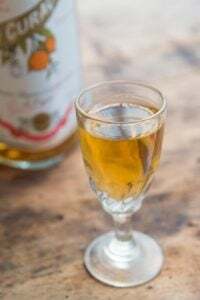 Re: the Malo – is it at all similar in flavor to leben? Oops – mixed up my dairy products. I meant is it at all similar to labane, not leben. 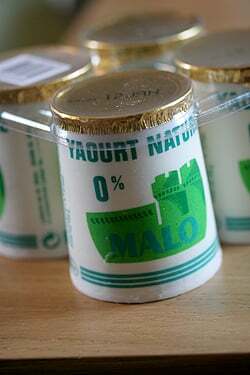 I grew up in Britanny and had forgotten how great the Malo products were. The old fashion packaging is part of their cham. Thanks for reminding me of something else to get when going to get essential supplies in Calais. I sure wish we’d seen this post before our recent trip, although there was a Shopi right across the street from our apartment, so we didn’t suffer any shopping issues. But I would have loved to have tasted the fromage frais!!! I think that may have been the only thing we missed…..
all i hear in my head now is ‘RRRuffles Have Ridges’. Brilliant article . You never fail to crack me up . everytime i read something bout your work and it made me laugh, just made me forget i was knackered! David, thanks for the response. We do go to Trader Joe’s, though it is a half hour drive. Believe it or not, there is no Whole Foods within an hour of my home. Sigh – but we are planning on joining our local CSA in the spring and we have over an acre of delicious gardening land, so not too much to complain about – still I love the little super narrow and colorful supermarkets throughout Europe with fresh produce piled high and nice local products. Oh, Lipton Soup Mix, how I love thee. Every Christmas Eve my mother would whip up a bowl of that dip, and we would end up licking the bowl with our fingers when the chips ran out. Sometimes she would make a paste of it with water and spread it all over pot roast meat (presumably brisket) and braise it slowly for hours. The whole house smelled so gorgeous, and it tasted divine. I am actually a little disgusted. I used to love Lipton soup mix, until I read the ingredients, of which contain several culinary obscenities. I would have thought such a cook like you, David, would have risen above this distasteful soup mix and would be enjoying a different onion dip, like from scratch. I am disappointed in you. But oh well. You need a fix on something America every once and a while. Do you think that any other brand of dehydrated onion soup would fit, or do I need to search for special ones ? If any other would fit, is it possible to know the weight of one pocket of lipton mix ? Maybe it’s the value of two Royco pockets, or three Knorrs, or mybe it’s the same individual pocket for one mug than those other brands ? The design of the malo products is wonderfull. Don’t you think it’s a pity that they do not have glassmade or more durable jars instead of cardboard ones ? Cardboard is cute but I think they would sell 10 times more if those stylish little pots and boxes were reusable :D.
I hate those brands as “la laitière” because when they chose those charming little round pots for one of their last product, they did not make it clear that they weren’t made from glass as it is usual for that brand. A lot of people bought les crèmes without looking twice about that, hoping to craft something with the pots, and were really dissappointed to discover it was plastic, dull, non reusable pots :( . But on their TV ad, the charming “la laitière” pot shown was made with glass, at least for the first weeks on the air :/. What a rip-off :[ . I was excited to see the name of this post. At last I would learn how to make real French onion dip with real ingredients, instead of dehydrated chemicals. How disappointed I was when I saw the recipe. This trite dip has been around at least since the ’50s. Don’t lower your standards, David. Ingredients don’t have to be expensive or hard-to-find. Just real. I won’t give up on you, however. I know you’ll be back with your winners. Once a year, when we go to Ocean City, MD, the first thing I do is buy Lipton Onion Soup Mix, mix it into some sour cream, scoop into my mouth with Utz kettle cooked chips. OMG. I eat it all week while drinking daiquiris. Love those Sees molasses crisps, too. I switched to Knorr’s vegetable soup mix for dip instead of Lipton’s onion soup mix and like it much better — maybe I should try mixing it with yogurt instead of sour cream….. Okay this is one of my favourites, haven’t made it in ages-we had it while watching a movie tonight…I love how you can buy the lower salt chips now! Thanks David. When in France I often use Fjord for sour cream. Haven’t made the dip, but for topping a cheese cake it works great. 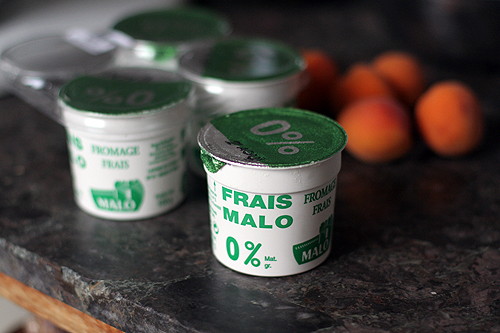 Do you know if Malo’s 0% Fromage Frais is sold in the United States? and OH, thank you for the reminder of how much i miss See’s dark molasses chips. i might just have to make a batch of honeycomb this weekend. the craving will have me at the stove by then for sure. It is very hard to take you seriously as a foodie when you dedicate a post to Onion Dip. It is American comfort food made for lazy women who cannot be bothered to make a proper nibble for an aperitif and there is nothing good about it. Because I am an American, if it was in front of me, I would eat it, but I would not be proud of it. Listen to Romain…..peanut butter is nasty too. You have to let go of these things…or at least stop mentioning them if you want to be a respectible food blogger. I have introduced to Brits to this dip as well. I can’t get Lipton soup mix here but I find that the Ainsley Harriott French Onion Soup mix is a suitable substitute. Thanks, Astrid, for the tip on what to substitute in the UK. I might just make some myself the next time we have a party now! Alton Brown’s California Dip (the original onion dip) is outstanding, and quite easy. I’ve never bought another box of Lipton’s since I discovered this recipe. You are right about the staff at Franprix and Monoprix. What is wrong with those cashiers? They have major attitude and barely say hello after you have said your “Bonjour” and are as polite as possible. They must be majorly depressed or very poorly paid. But why do we have to suffer with them. Oh well guess I have to change also, but its so convenient. I don’t expect all-American grins, but if they were perhaps a bit nicer, the customers in turn would treat them better, too. Would a little French-style égalité hurt? Meg: Who knew a simple joke would unravel years and years of hard work? Ellen: Any fresh dairy product is not likely to be exported as the costs would be prohibitive. You can buy very good dairy products from places like Vermont Butter & Cheese, Cowgirl Creamery, or check your local farmer’s market or specialty foods store for a producer near you. Vidya: At Monoprix, they once refused to believe me that the Tropicana orange juice I was buying was on sale. So I went over to the display, took down the rather large paper sign that noted the sale in big block letters, to show the cashier, who called the manager and reported me. It’s amusing to see this on your website because this is such a quintessential American snack food. My husband has been making this dip since he was a kid. We make this dip using a good quality organic fat free sour cream (a good quality will be thick and rich despite the lack of fat) and because the onion soup mix is so strongly flavored, you’ll never miss the fat. Regardless, my husband would argue for the full fat version in any case. Now addressing Stephanie’s previous comments about peanut butter being “nasty”. Peanut butter is not a food I would call nasty. In fact, it’s quite healthy. I buy organic peanut butter that doesn’t have any added oils and it’s great. Given all the unhealthy foods we Americans have in our supermarkets, peanut butter is not the food to single out as nasty. My sister lives in Paris and tells me the tales of how incredible their dairy products are, nothing like American. This is no exception! I’ve never even seen something that looks so thick and creamy here. Hey, why cast aspersions on America’s beloved peanut butter? I fail to see how it’s “nasty”–or any nastier than say eggs, milk, butter, sausage or a whole host of other foods that may put one off of them if one thought about their origins for long but which many of us eat with relish. Peanut butter at least is just ground peanuts, and what’s so wrong about that as a food? For the record, not all Europeans eschew peanut butter. It is readily available in Holland, where it’s called pindakaas (literally peanut cheese). I think most of it is probably used for satay sauce, as the Dutch are wild about chicken satay. But natural peanut butter is good for you, Although it’s high in fat, it’s used in African cooking because it’s an great source of protein that is easily available and/or transportable. French Onion Dip… it is good, isn’t it? A classic. I just wish Lipton would remove the hydrogenated oils. I suppose it’s just a matter of time and it will happen. That’s interesting about the peanuts being seen as a cocktail snack and thus not as something that goes in desserts or chocolate. When my sister lived in Brazil she drank sweet avocado drinks and when she told me about them I remember being surprised at the use of avocado in something sweet, since I associated the avocado with savory things like salads and tacos. I’ve found at my local grocery store. What a vestige from my childhood! Where are you hiding the bottle of Orange Crush? Every summer weekend was spent at my family’s lake house and my mother would whip up a batch of french onion dip and bring it down to the beach with Ruffles. It was your recipe to a T, although I imagine yours is better since I’ve never had it without the addition of a few grains of sand. salut! great post–I miss fromage frais when i’m in the states (greek yogurt being a poor substitute…and certainly not as prettily packaged). I live near Pigalle & find ave the marche des gastronomes really….underwhelming. but, as you say, the neighborhood has other priorities. Lipton’s french onion dip? All I can taste is salt. And..that’s just the dip, add the Ruffles chips and it’s crazy salty! Never even liked it as a kid. Hope this doesn’t further add to the French conviction that we truly have no decent cuisine or are “too stupid to cook” as another blogger put it. 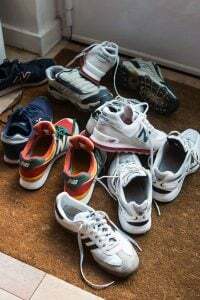 Susan: It’s not something I eat regularly (in fact, I don’t think I’ve had it since 1987), but foreigners living abroad always miss edibles that remind them of home. Especially things like peanut-butter cups and other goofy foods. There’s plenty of great things in the US, which I write about (bean-to-bar chocolates, bagels, restaurants, etc..) but the soup mix does exist and is, for better or worse, an American classic. Americans do have a reputation for bad food, which is unfortunate. We also have a reputation for all carrying guns, too. But America is a huge, diverse country, and it’s hard to categorize us as all being the same. Which is one of our great strengths as a nation. Paris Food Blague: My friend said it was hard to see the good products because of all the ‘everyday’ items on the shelves alongside. But I think they’re trying to appeal to everyone who lives there, and some are so well-heeled. Although you should try that €3.99 Viognier; I bet it’s really good. Especially for that price! Jenny: I haven’t had it. But there cheeses are great, so I’d imagine their other products are good, too. Thank yor for addressing my comment. 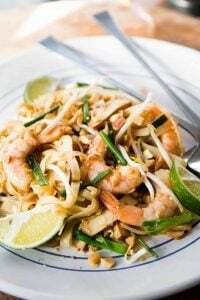 I know from all of your experience in the food world and from the recipes presented on this blog that you do put a lot of our best food forward. I’m always glad to see some of the finer American products that you mention here on the occasion that they would work equally well in one of the recipes you offer. I guess I’m just getting sensitive to hearing how other countries believe how deficient our culture is with respect to food. I know you know differently, but we need to promote that we do use our abundant natural bounty well and more often than is believed. Thank you for what you do toward correcting that myth. Now..where did I put those Reese’s…? I miss Paris, its great food and small friendly shops sooooo much :(. I’ve been there only twice in my life but feels like I could live there forever. Lucky you! Thanks for that recipe. My husband and I will be in Paris in March, and we’ll definitely look for the Petits Suisses. It will be our 5th time in Paris, and I cannot wait. We’ll be staying in the Bastille area. I have read your latest book, and I have a list of food places to visit on our “sightseeing foodie day”. I know what your problem is in Mono- and Franprix. Your French is too good! At our Monoprix in the 11, on Ledru Rollin, we two Americans barge in with our very bad– VERY BAD!–French and start chatting. I think they think, Oh, here come THOSE two again. But they have never been anything but pleasant. (Setting aside the cashier who wouldn’t let me buy something because the bar code wouldn’t scan. But she was pleasant in her denial…) We’ve even made jokes in poor French, and they pretend to get them and laugh. Word to the Lipton Onion Soup Mix Dip! Growing up in the Midwest, this was as much a staple as fresh sweet corn in the summer and jello with fruit cocktail. I enjoyed your French take on the recipe, it’s that open-minded attitude that makes cooking fun, as it should be. Maybe I was too quick to say that peanut butter is ‘nasty’. I know millions of people love it….but that does not make it good either. There are natural nut butters out there that are healthy when eaten in moderation (peanuts are high in fat and cholesterol and should not be a primary source of protein). I should have said most American peanut butters are high in fat, sugar and salt and are served as a staple food to children and that is criminal. I knew American mothers who fed their kids pb&j every day for lunch. I lived in the US with young children and fed them hummus as a high protein spread and Nutella as an occasional treat. Now we live in Paris (largely because of the food) and I am happy to be surrounded by millions of people who agree with me about peanut butter. David, your restaurant recommendations are always right on and I will not hold it against you that you occasionally crave the comfort foods of your American youth. I know this post was meant as a joke, but it is hard to understand why someone capable of turning out perfect gougère would serve Onion Dip. There were many football games on the tv last weekend and the men in my house requested onion dip. I did use “reduced fat” sour cream which is probably 2%, but draw the line on baked chips. Maybe they’re okay if smothered with dip. Now you need to make that spinach dip with the Knorr vegetable soup mix! ooh..btw. Discovered a delicious french yogurt. U (it’s a hypermarket) has a bio (organic) FULL FAT yogurt. No skim. Full yogurt. It’s SOO good. I’ve been eating it with local apricot preserves as well as spooning it over smoked salmon with a dab of st. Malo. After reading this entry, I had flashbacks of my mother in Clairol hot rollers with a vodka gimlet mixing up Lipton French Onion Dip for her impending guests. Yikes! Susan- I’m not so sure America is viewed as gastronomy’s Jell-O nation any longer. 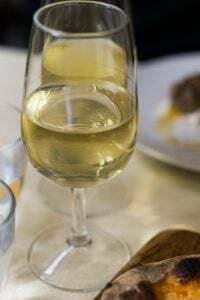 Sure, we have more than our share of drive-through joints littering the country; but, it may make you feel better to know that America has attracted several renowned French chefs; e.g., Joël Robuchon, Christophe Emé, Jean-Louis Gérin, Hubert Keller, Eric Ripert, and, of course, Alain Ducasse (the merchant of happiness), to name a few. So, we can’t be all that bad. On that note, I probably shouldn’t mention our homeboy Mario Batelli’s guilty nosh is Doritos. I am a little late to the party since I only recently stumbled upon your blog. But I enjoy it immensely, and will study your tips for my first trip to Paris this Fall. Thank you for the entertainment and delicious recipes. I am a little late to the party since I only recently stumbled upon your blog. But I enjoy it immensely and will study your tips for my first trip to Paris this Fall. Thank you for the entertainment and delicious recipes. I’ve always wondered how peanut butter became an almost solely North American delight. I had a friend from Australia who would gag at just the smell of it, while I can’t think of a better breakfast than peanut butter on toast. Sigh…even unidentifiable white stuff looks fascinating with a French label, doesn’t it? I’m only a vicarious foodie cook,..I’m really not great, but living in London once, my spouse and I nearly threw are party because we invested in a box of Aunt Jemima’s pancake mix from Harrod’s pantry. There was so little I found that I knew what to do with (okay I was a lot younger and more inexperienced at the time) and recipes books there are about weights and measures and gasmarks and our kitchen I think was a remodeled loo that once was a remodeled closet…any, this all to say, I totally understand the Lipton Soup Mix thing. PS…funny,… when I think of cooking with peanut butter, I think of Thai food, not American food. Stephanie, what sort of peanut butter have you had that contains cholesterol? As far as I know, cholesterol comes only from animal fat. Oh lord, some of you people need to just relax. For serious. Yay Jenny, my thoughts exactly! David, this post gave me the biggest smile—just good memories and the dip is still the first thing to disappear at parties. Thank you, Lisa from Seattle. I may just be taking this whole ‘food’ thing too seriously. Pass the dip. Oh, and the chips? 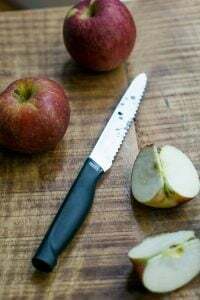 When I read the recipe for French Onion Dip I was thoroughly disappointed in you using Liptons Onion Soup Mix instead of carmalizing onions and adding fresh thyme maybe alittle worcheshire I do enjoy reading your blog when ever I can. For the record, I was disappointed in myself, too. one of the things I enjoy most when visiting the in laws in Marseille is le fromage frais..0% bien sur!. See’s candy is also in Hawaii — have had a life-long love affair with the molasses chips. Having transplanted to the midwest, I must do without See’s, the Pacific Ocean, great Chinese food, and my family (ok, not necessarily in that order). However, we have wonderful dairy products in Wisconsin. 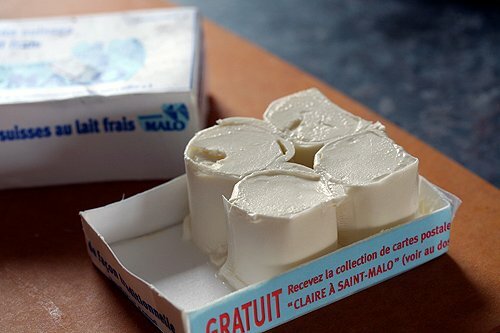 Does anyone know if there is a reputable recipe for fromage frais? You crack me up. This time tears started coming to my eyes. “La carte de France.” It’s been so long since anyone I know has joked about that. Makes me homesick for France. But I want to tell some of the PPs to please lighten UP and stop being sidewalk superintendents about what you may and may not enjoy. I don’t go around telling them that they MUST like rubbery slices of spiced jellyfish (my culture) and that escargots or cuisses de grenouilles are archaic and should be food for birds. Can we all have a little fun here? I’m confident in myself and don’t feel the need to hide where I come from (U.S. eating bologna and peanut butter as well as oddball Chinese foods). Maybe if I had an inferiority complex I’d worry that people would judge us for one item enjoyed by the common people in spite of the many higher achievements. Quelqu’un devrait se retirer le baton du … um, I guess I’ll just drop it. 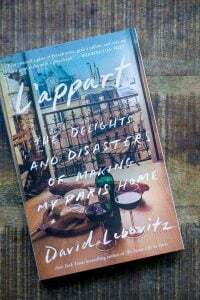 But as uptight as people are, it’s funny that they let slide the “carte de France” thing and jump on something so petit as Lipton dip or peanut butter. They must be from the same high school clique that tried to embarrass me for eating my “weird” Chinese food at school. Please be tolerant. David is not the appointed ambassador to France. He did not sign a contract to represent us as an evolved society. And it’s all in fun! Yes, hooray for Hsin (comment just above)! I just have to laugh when people get all uptight about this or that. There’s enough grief in the world without people complaining about Lipton Onion Soup mix and/or the peanut butter conundrum. LOL You can bet that all of the folks who rant and disagree have their own secret processed food product fetishes, for sure! I’m a total foodie… most of the time. Cook French food from scratch frequently, but hey, even though I’ve made many a pot of soupe l’oignon, and daube de bouef from scratch (fresh herbs, wine, etc etc), every once in a while, I crave the pot roast of my childhood, made with only 3 ingredients: a big ole slab of chuck roast, a can of Campbell’s mushroom soup, and the inevitible packet of dry Lipton Onion soup mix. Golly gee, it makes it’s own gravy! Put it all in a big Le Crueset cast iron pot with a lid, turn on the oven to about 250 (F.) and leave it alone for 4 hours, maybe stir once or twice – make a big pot of mashed potatoes to go along and then Bon appetit! Oops. I meant “lui enlever le baton… ” But you get the idea. And I was supposed to laisse tomber. I forgot to mention that I love those petite Suisses. I used to eat the whole six-pack in one sitting. Hello David… how are you? Here in Brasil we usually make something like this using milk’s cream (without the liquid part) and Powdered Onion Soup. Mix the ingredients and let sit in the refrigerator for 40 minutes, maybe. You can eat with some salted biscuits, toast and even with fresh bread. I love getting boxes of molasses chips in my Christmas stocking…sigh. Now I need another. Try them chopped up on top of blondies, a little bit before they finish baking. Oh yeah, I went there. 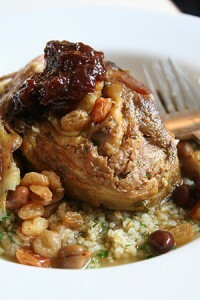 What a great recipe for Superbowl Sunday. We have a big family get together and this is my sisters favorite dish out of all of them. It’s exciting to have a new variation. Kudos! Wonderful recipe! Personally I like the smell of French onions. Moreover, Onions are rich in vitamins and purify blood. It is also yummy and good for health. I’ll try this today! Wait no longer- packets of Royco onion soup (found at most hyper/supermarches is a PERFECT match (and if you look on the back of the box, you’ll see the little ‘Campbell’s soup’ logo. The only difference is there are teeny tiny croutons and you will either want to remove them completely (I use a normal sieve/passeoir) and toss them OR you can then pound them into dust and add them to the dip for some extra flavor.